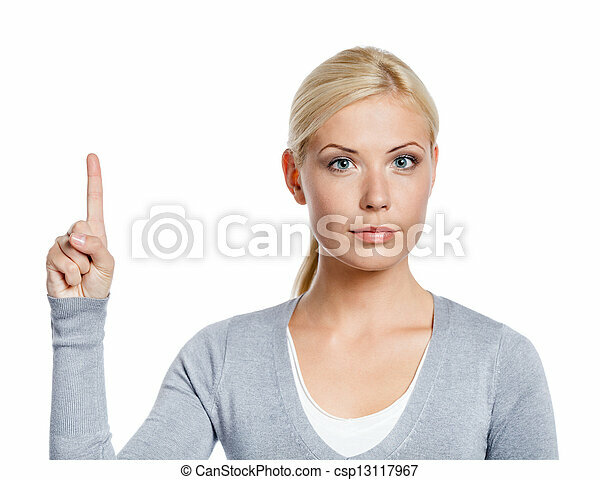 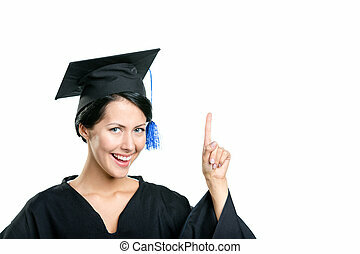 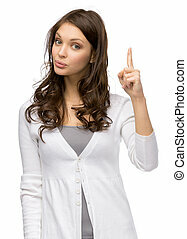 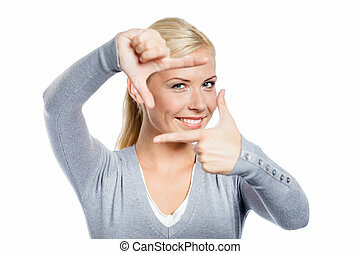 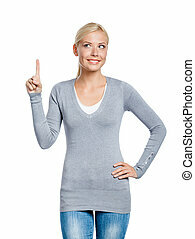 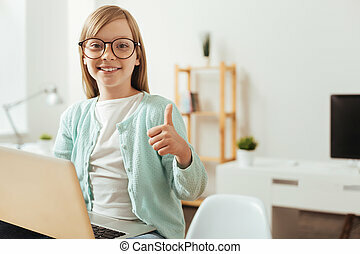 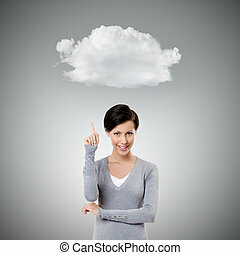 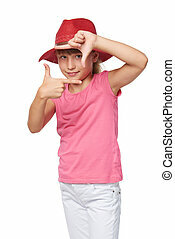 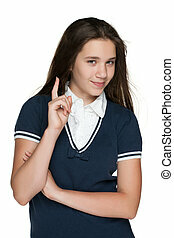 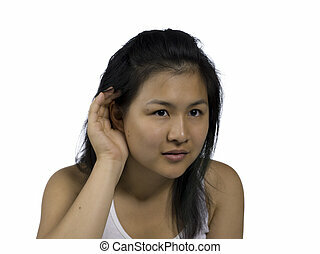 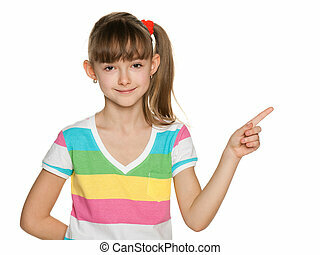 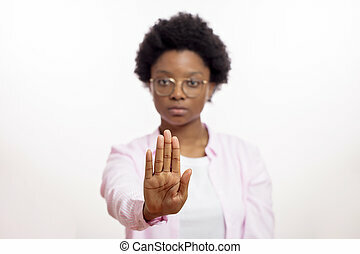 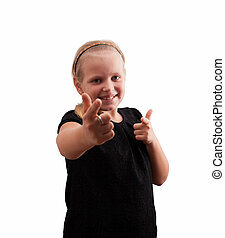 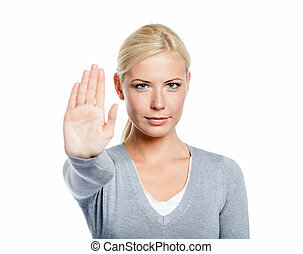 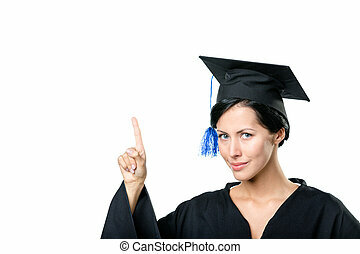 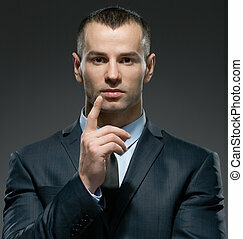 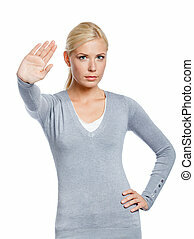 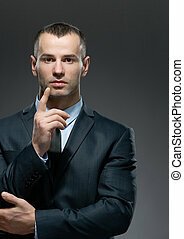 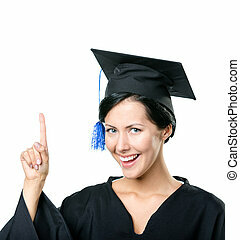 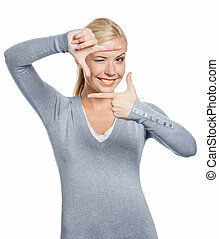 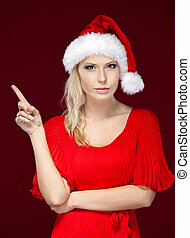 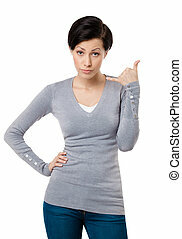 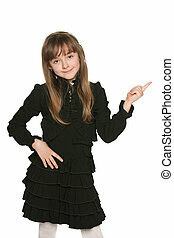 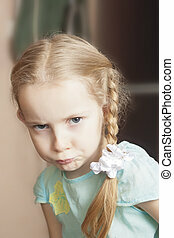 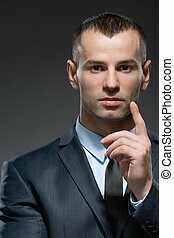 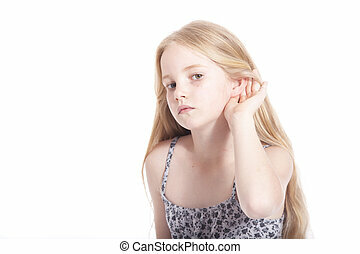 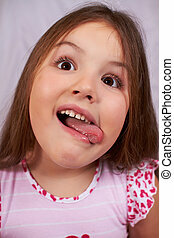 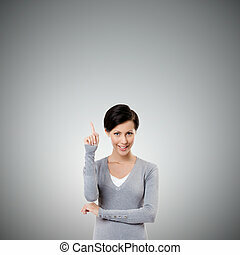 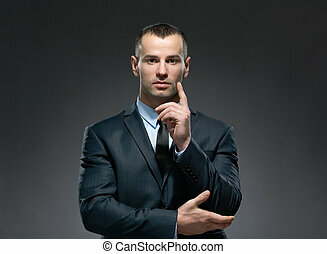 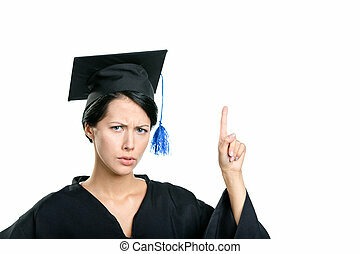 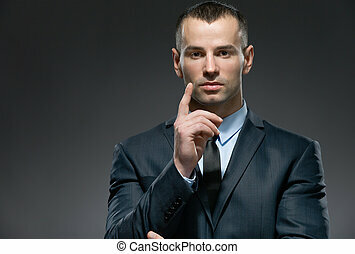 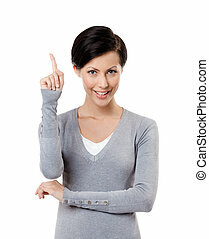 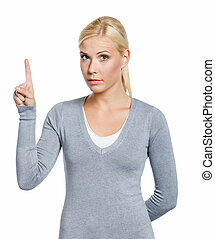 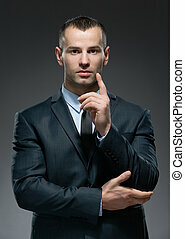 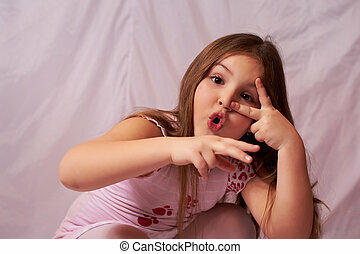 Girl making attention gesture with forefinger, isolated on white. 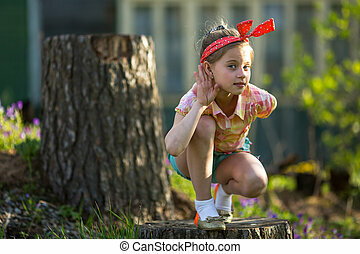 Little naughty girl outdoors, makes the gesture of listening. 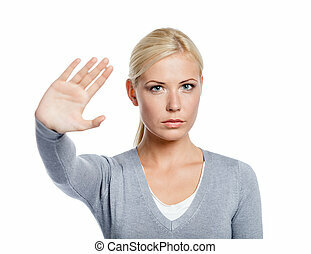 Greetings. 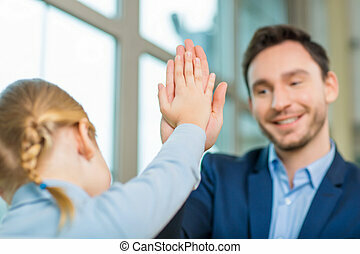 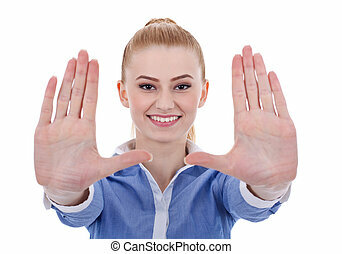 Energetic young dad is greeting cute little girl with high five and supporting her.